In my search for a personal trainer it was key to me to find the right fit and be inspired and motivated by who I met. After hitting a personal brick wall on the day I realised that enough was enough I had to take drastic action for my personal health, wellbeing and fitness before nature gave me a nasty shock. 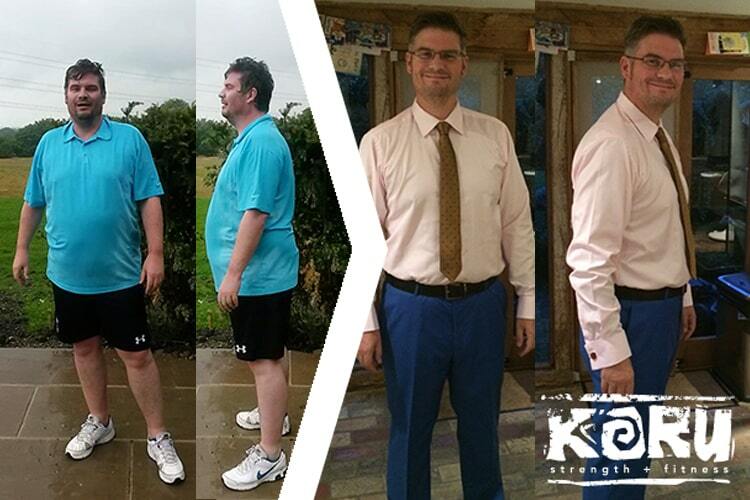 In May 2014 I knew straight away that Keith was the right trainer to help me achieve my goals. Keith sat down with me, and listened to me. I explained that having my own Company, and bringing up four young children took up all my time, left me tired, and led to me taking easy choices when it came to food and drink decisions that had seen me balloon to a very unhealthy 21 stone (6 stone overweight!!). We discussed nutrition and lifestyle and Keith gave me a very simple regime to follow that still gave me plenty of choice, and meant that when I attended business lunches I didn’t feel left out or uneasy. Of course there were major sacrifices to be made and the one thing I needed was to keep focused and motivated to carry on when previously faddy diets and no exercise had not had any effect at all – the difference between failure and success for me was having a personal trainer. I still sometimes have treats and I am certainly not living like a monk! I train three times a week with Keith and he pushes me every session, but he knows just when to push and when to hold back. Every session is different and interesting, and sometimes, dare I say it, fun! I finish every session knowing that I’ve worked, at the same time having a feeling of achievement. As a result I’m stronger and fitter than I can ever remember being, I have lost over 6st in weight, and I’ve even taken to running, something that I never thought would happen. I can’t recommend Keith enough!